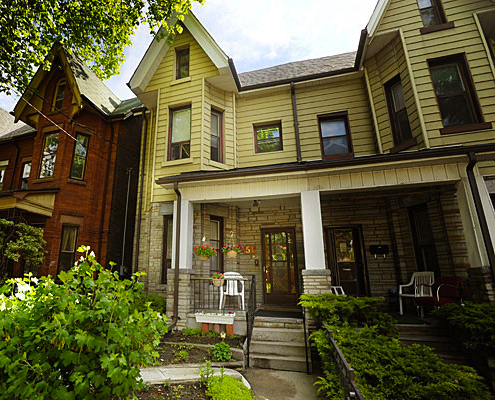 The Potentional: The big sell for me (other than the rental income) is the master bedroom. It’s 240-square-feet, which means that it’s a spacious place to hide from my whining lovely tenants. The Fix: The first thing I would do in this room is lay down some ‘bone. By which I mean, herringbone. The floor adds warmth, texture and pattern.Plus, it’s just really, really pretty. 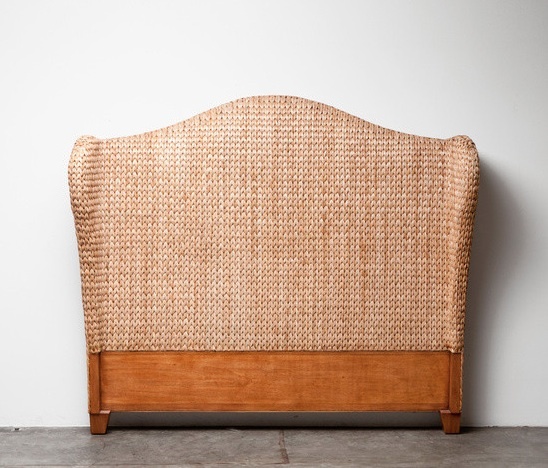 Also pretty: this woven seagrass headboard from Made Goods. 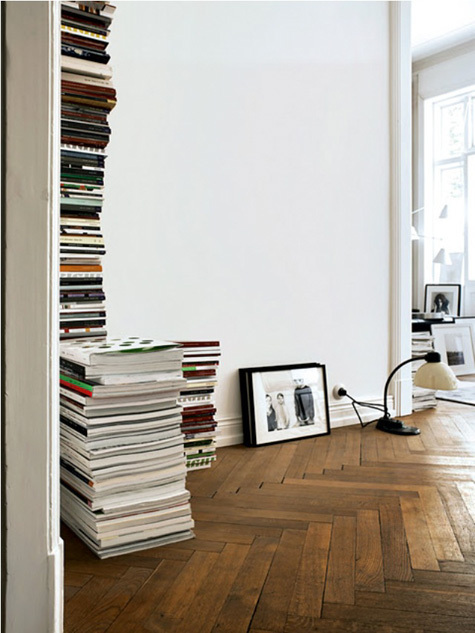 Because the bedroom is so large, I would incorporate a work space. But not a productive work space. More like a nook where I could sit and brood about how life is void of all meaning in order to produce nothing of any real value. Basically, a place to write poetry. Except not, because I would be a heartless capitalist extorting rent from my tenants (and what poet would be that clever?). 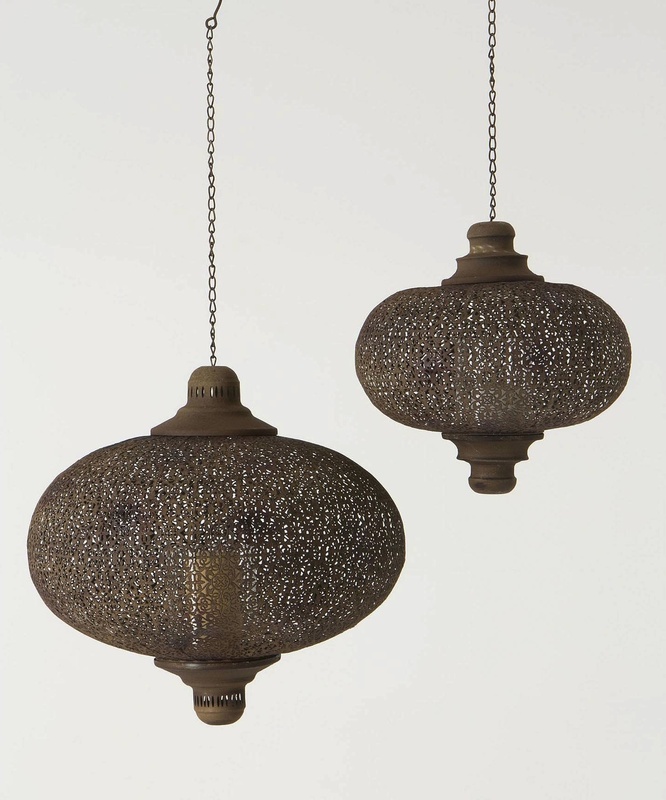 In that spirit, I would hang some candle-holding orbs, like Anthropologie’s Filigree Waltz Lanterns. 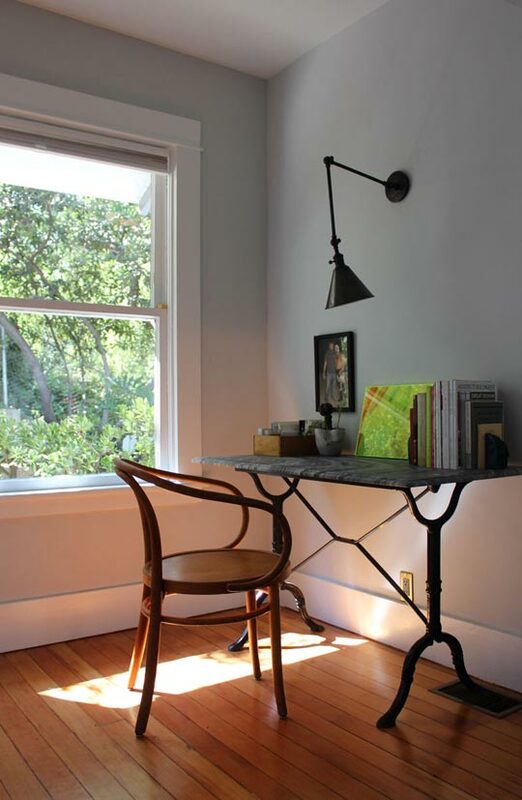 And I would add a vintage writer’s desk, like the one above which I spotted on Apartment Therapy. The Michael Thonet-style chair is a nice touch, too. 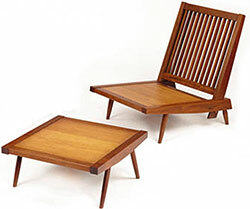 Post brooding, I would want to rest in a George Nakashima lounge chair with matching ottoman. 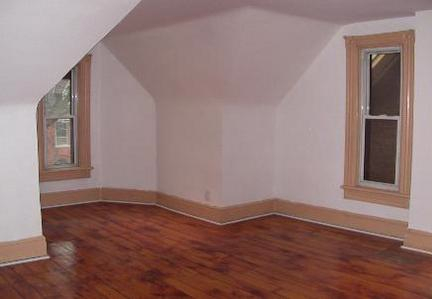 Surprise: I would paint the walls, trim and ceiling white. (Martha Stewart Living’s Popcorn, to be precise). This entry was posted in Design Spy, Shelter Skelter and tagged Anthropologie, Furniture, Headborad, Herringbone Floors, Home Decor, Interior Design, Lantern, Made Goods, Michael Thonet, Real Estate, Toronto by mmhague. Bookmark the permalink. Love the victorian homes, would love to decorate it.